Beautiful exotic orchids and spring plants go on display at the RHS London Orchid Show at the Royal Horticultural Halls. Gold medal winning designer Kate Gould, who is creating 'The West End Garden' in the new Space to Grow category at this year's Chelsea Flower Show will be there. She's joined by Johnathan Snow, who is making his RHS Chelsea debut, and design duo Kate Savill and Tamara Bridge, who will discuss the creative journey behind their garden. Garden designer James Alexander-Sinclair will produce a remix of the BBC Radio 2 'Feel Good Garden' he designed alongside presenter Zoe Ball at Chelsea last year. As well as an orchid painting masterclass you can see orchid pollinators in virtual reality and experience orchids through the eyes of an insect. What are the best dining options near RHS London Orchid Show and Plant Fair London? 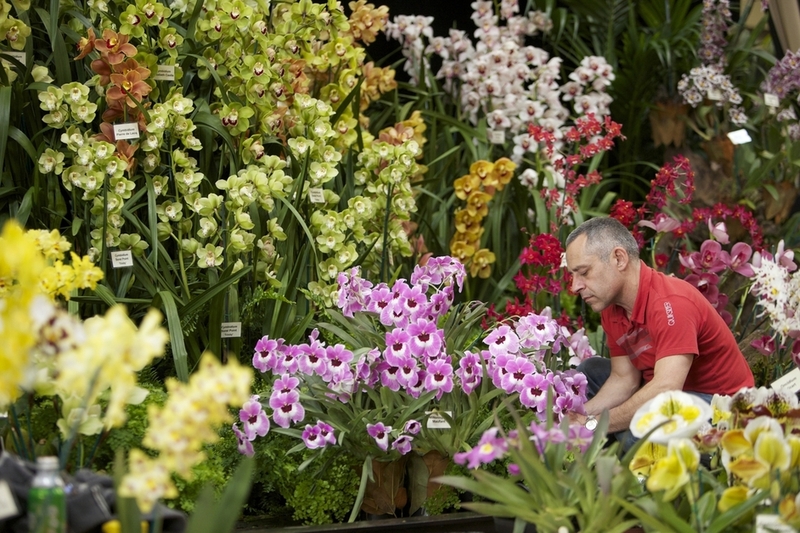 RHS London Orchid Show and Plant Fair gyms, sporting activities, health & beauty and fitness. The best pubs near London RHS London Orchid Show and Plant Fair. RHS London Orchid Show and Plant Fair clubs, bars, cabaret nights, casinos and interesting nightlife. Where to have your meeting, conference, exhibition, private dining or training course near RHS London Orchid Show and Plant Fair. From cheap budget places to stay to luxury 5 star hotels see our discounts for Royal Horticultural Halls hotels, including Grange Rochester Hotel London from 84% off.